Lactulose is used in cats and dogs as a laxative. Lactulose is a type of sugar (disaccharide) that is broken down into mild acids in the end part of the intestinal tract or colon. These acids cause water to be drawn into the colon and this water helps soften the stool. Lactulose is used to treat constipation. How it works: Lactulose is a disaccharide sugar composed of galactose and fructose. Unlike other sugars, its not absorbed into the blood. It passes unchanged to the large intestine. In the large intestine, lactulose is broken down by bacteria, resulting in the production of various acids. These acids draw water into the colon, softening the stool and increasing the volume, resulting in a laxative effect. Dosage & Administration: Give this medication exactly as directed by your veterinarian. If you do not understand the directions ask the pharmacist or veterinarian to explain them to you. Lactulose may be mixed with fruit juice, water, or milk to improve the taste. It may take 24 to 48 hours before the effects of lactulose are seen. Lactulose may darken slightly in color. This change is harmless. However, if lactulose becomes very dark or uneven in consistency do not use the product. 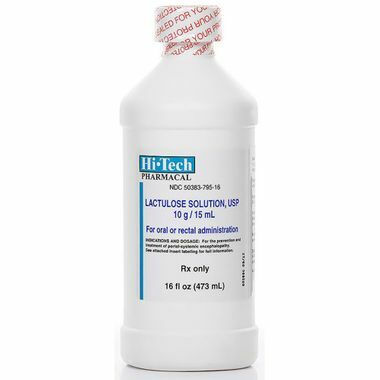 Store lactulose at room temperature, away from moisture and heat. Keep this medication away from children and pets. 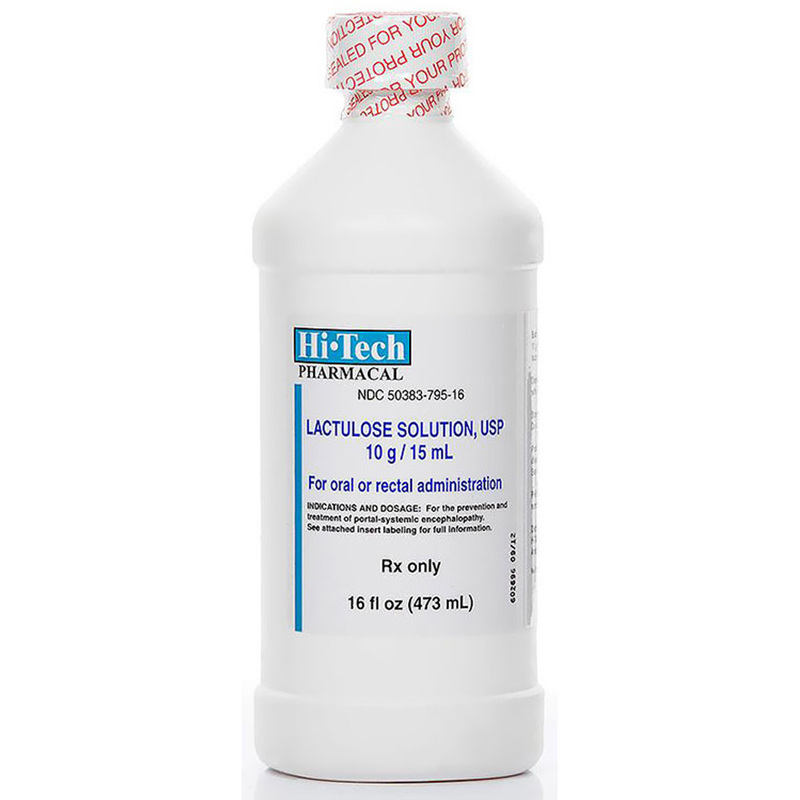 Tip: Lactulose may be mixed with water or milk to improve the taste. It may take 24 to 48 hours before the effects of Lactulose are seen. Notify your veterinarian if your pet develops excessive diarrhea. Storage: Store at room temperature, away from heat and moisture. What happens if I overdose the pet: Seek emergency veterinary medical treatment. Symptoms of lactulose overdose are unknown but diarrhea, abdominal cramping, and possible complications of dehydration from excessive diarrhea are possible. What should I avoid while giving Lactulose to my pet: There are no restrictions on food, drink or activity unless otherwise directed by the veterinarian. Possible side effects of Lactulose: If any of the following serious side effects occur, stop giving lactulose and seek emergency veterinary medical attention; an allergic reaction (difficulty breathing; swelling of the lips; tongue or face; hives). Other less serious side effects may occur. Continue giving lactulose and talk to your veterinarian if your pet experiences flatulence, abdominal cramps, diarrhea or nausea and vomiting. Other side effects may also occur. Talk to your veterinarian about any side effect that seems unusual or bothersome to the animal. What other drugs will affect Lactulose: Tell your veterinarian if your pet is being given an antacid as this may decrease the effects of lactulose. Drugs other than those listed may also interact with Lactulose. Talk to your veterinarian before giving your pet any prescription or over the counter medicines. What should I discuss with my veterinarian before giving Lactulose to my pet: Tell your veterinarian if your pet is diabetic. Tell your veterinarian if your pet is pregnant or lactating. Cautions: Side effects of lactulose include symptoms of flatulence, bloated stomach, and cramping. Diarrhea and dehydration are symptoms of overdose. Tell your veterinarian if your pet is diabetic, or pregnant or lactating. We use this product for our cat who has constipation. Works great. Price is about half that of the vet's office. Entirely Pets did a great job contacting our vet and getting the prescription authorization. Saves us money and a trip to the vet's office.